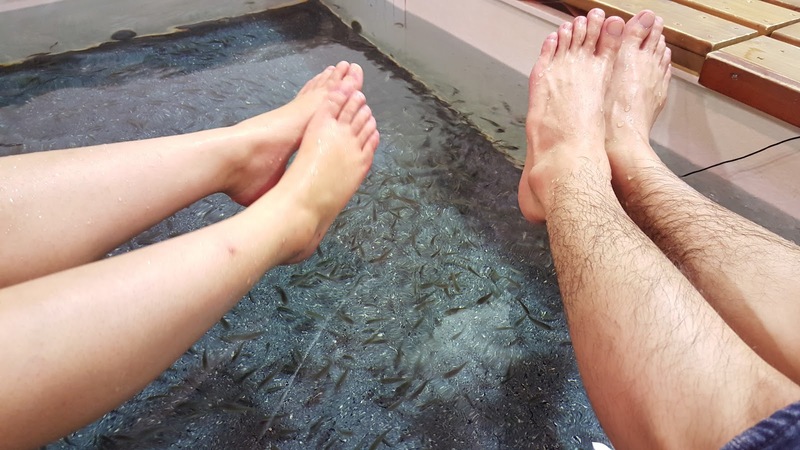 GETTING KISSIES FROM DOCTOR FISHIES @ DOCTOR FISH - CHINATOWN (YOKOHAMA) - EAT WITH HOP! How to get here: Arrive at Motomachi-Chukagai station (Tokyo Tokyu Minatomirai Line which is a subway!) and use Exit #3. Should be a 2 minute walk. 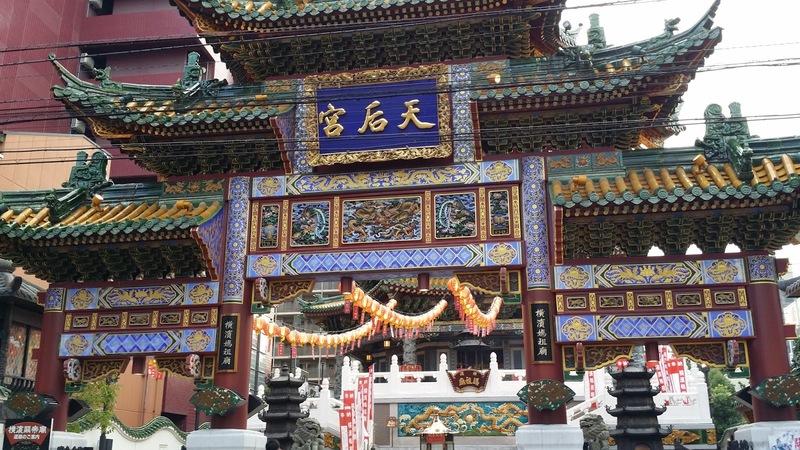 Enter Chinatown from the Tencho-Mon Gate. 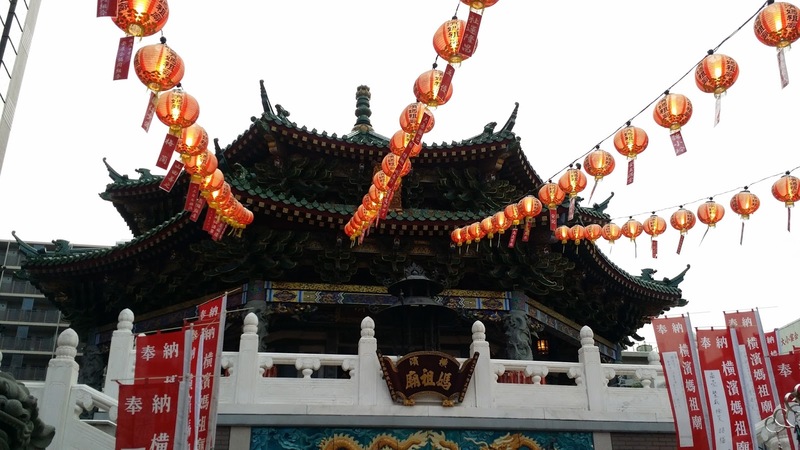 You should see an 8-story building that has a big staircase, Trick Art Museum (I recommend this!) and a souvenir Shop. 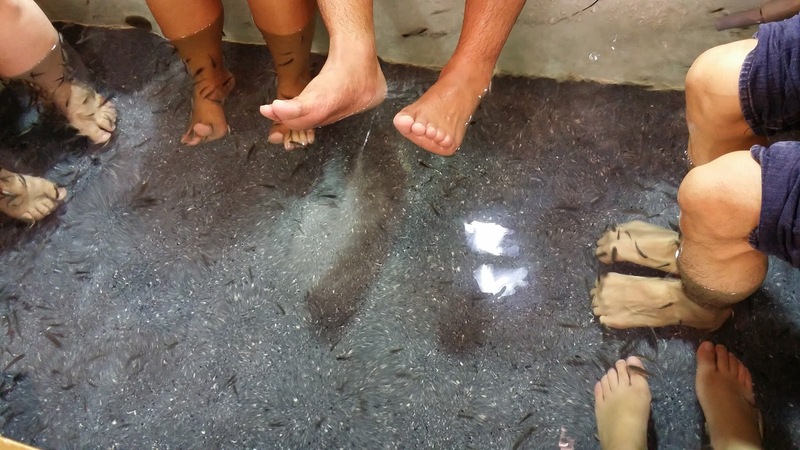 Doctor Fish is on the 2nd floor. WE KNEW IT WAS GONNA BE HELLA TICKLISH... SO WE PREPARED OURSELVES MENTALLY BEFORE WE PUT OUR FEET INTO THE WATER. AND FRANKLY, IT TOOK FOREVER TO FINALLY PUT OUR FEET DOWN...TO ONLY PUT IT UP A FEW SECONDS AFTER ... 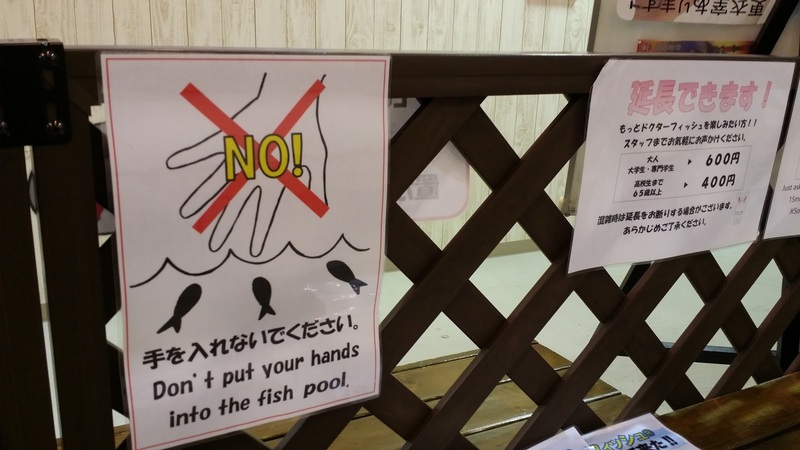 THE FISH JUST TICKLED US TOO MUCH AND KISSED US TOO HARD. 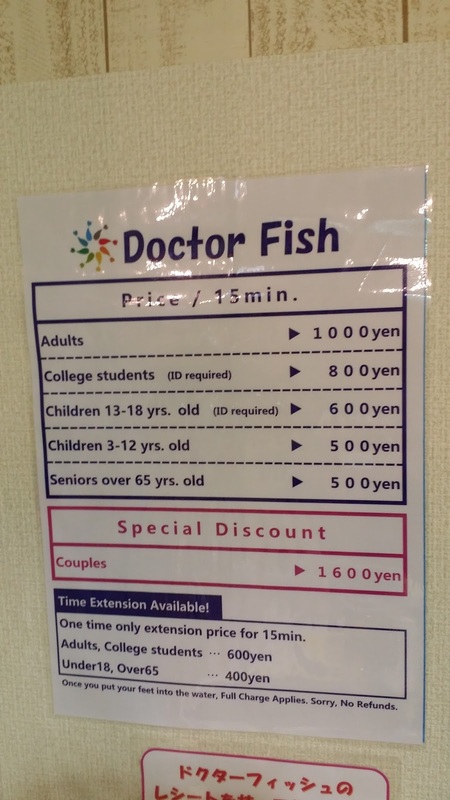 There is a Doctor Fish in Japan?! For only around $6.50 usd a person?! THAT IS CHEAP Y'ALL! Anyway, the idea of being "kissed" by fishies and having your dead skin just magically go away sounds like a fun activity for an awesome date. The price was right too. 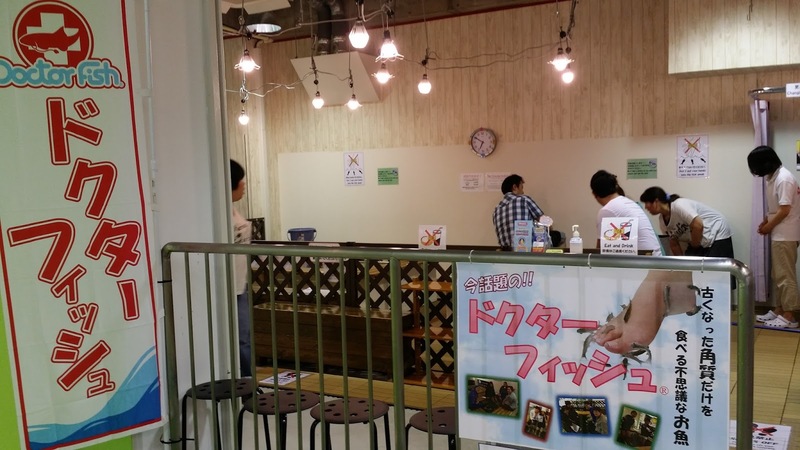 They have a special discount for couples at just 1600 yen! 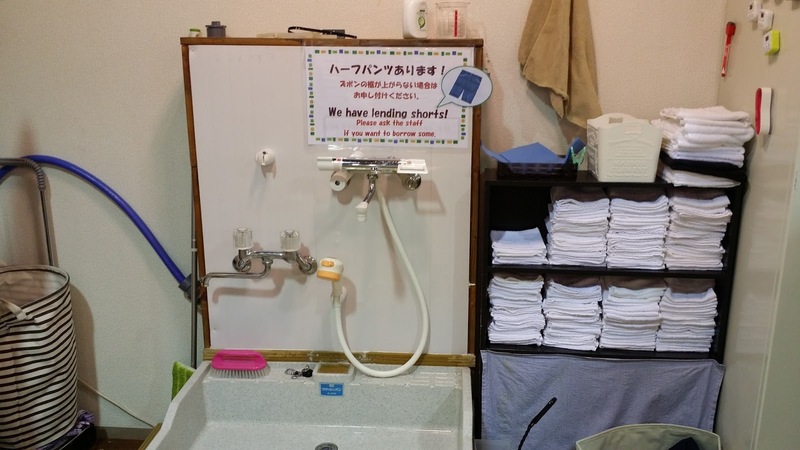 This basically comes out to 800 yen a person for a 15 minute session. And if you're as ticklish as I am, 15 minutes can seem like a pretty darn long session. There is a shelf to put socks and shoes in. 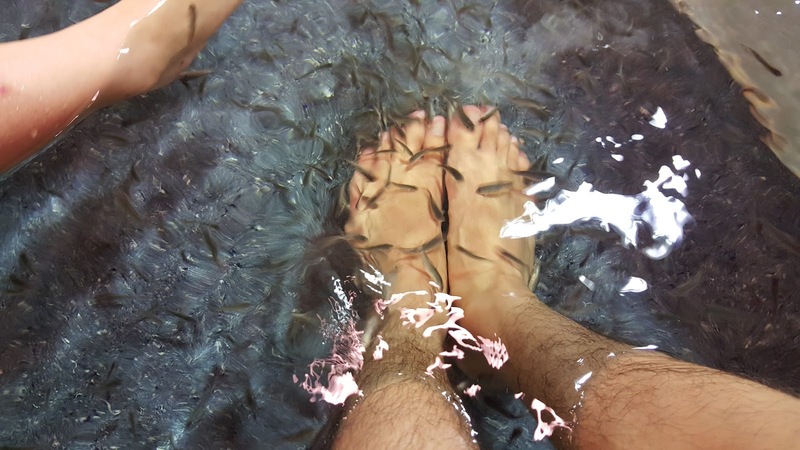 After that Kevin and I were directed to wash our feet before meeting our Fishy doctors. 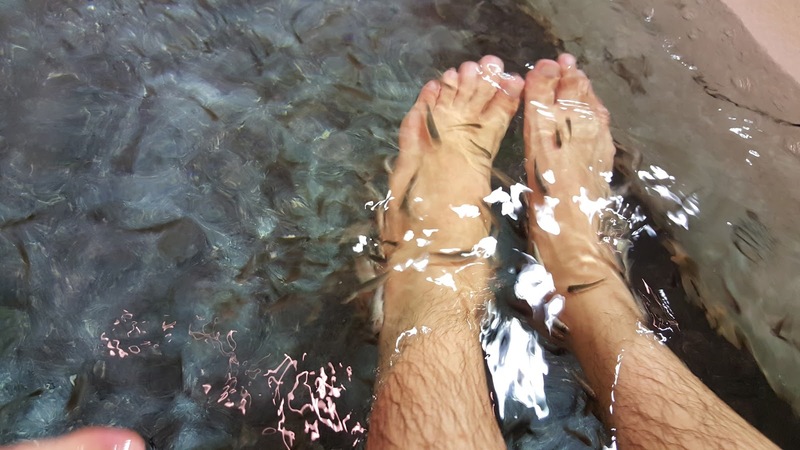 Once we sat down with our feet hanging loose, somehow I felt ticklish before any fish had even came near me. It's because I actually did Dr. 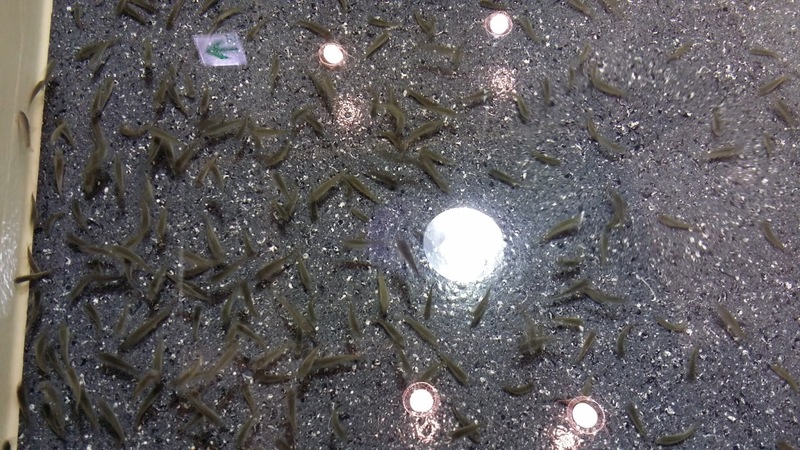 Fish before 3 years ago in Korea and remember being too tickled too much. This time, I had to muster enough courage to do that first dip. 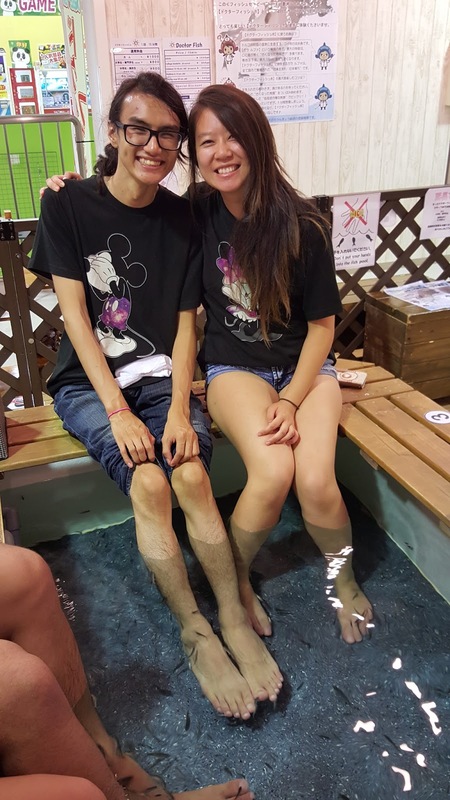 After Kevin and I dipped our feet in we practically immediately lifted them back up. Other couples came in and I was so amazed. Have they done this before? Are they just used to it? Or are they naturally not so ticklish?! The couples that came after us left their feet in the water and had the little fishies eat their dead skin the entire 15 minutes. I wouldn't be surprised if they were secretly laughing at Kevin and I for constantly dipping and lifting our feet and being scared of getting tickled. The staff notified us when our 15 minutes were up and gave us each a towel to wipe our feet. I think she gave us a few minutes extra though because it was a bit more than 15 min. We both left with cleaner feet and legs...I think! Couples Discount: 1600 yen for two. Their bites feel very ticklish but they don't hurt. 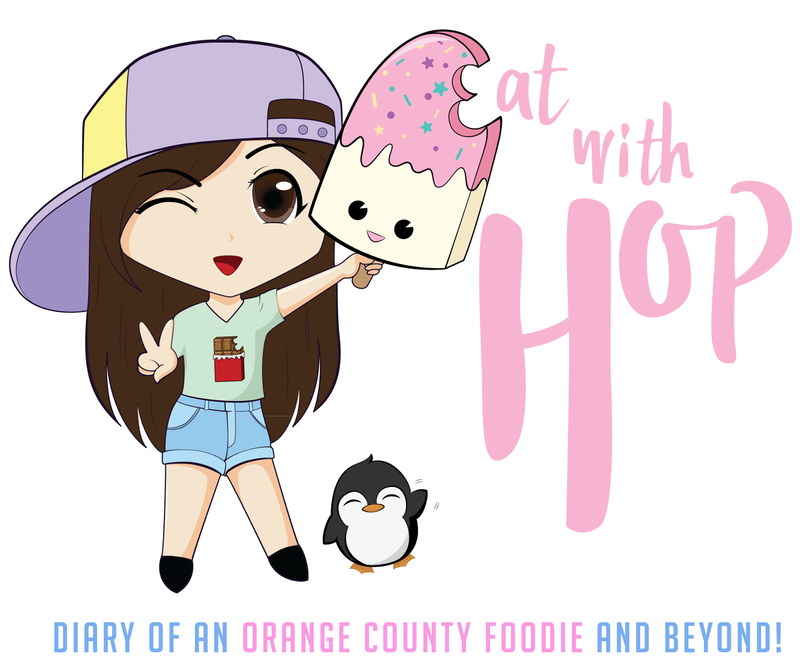 Would definitely recommend this to anyone because it's a unique experience!